With the release of Nintendo's newest console, the Nintendo Switch, came the latest installment in the universally popular Legend of Zelda series, Breath of the Wild. 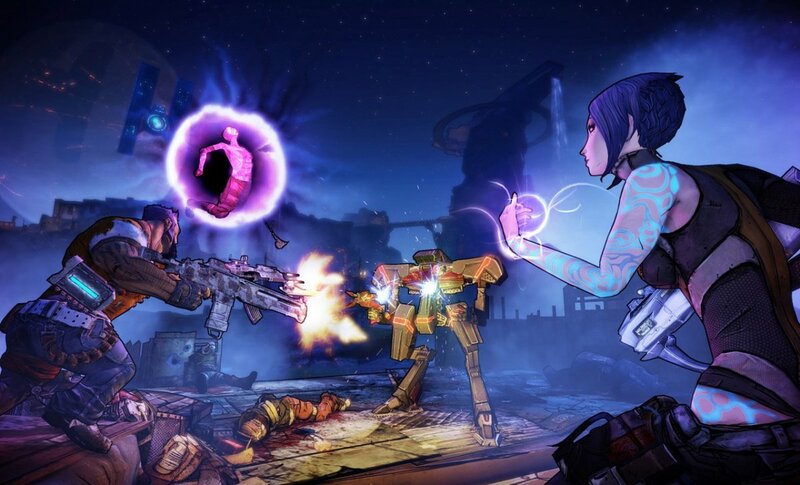 This gorgeous fantasy RPG has charmed veteran fans of the franchise as well as a new generation of players. 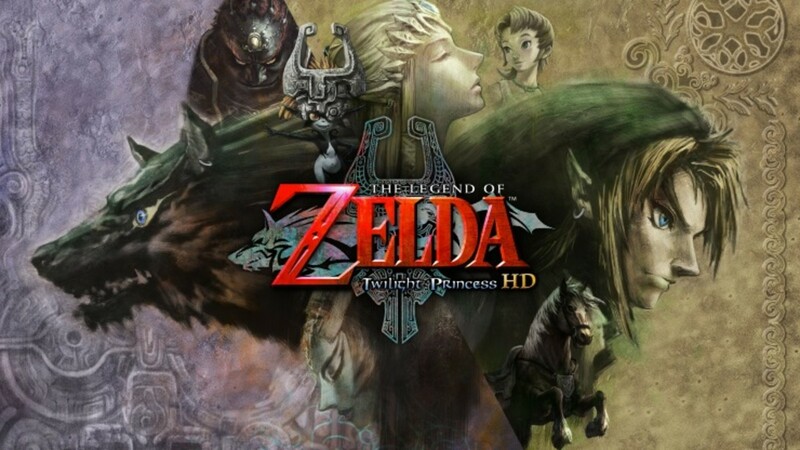 With an enormous open-world full of sidequests, challenges, and collectible items, this game can be dozens and dozens of hours while you beef yourself up in preparation to face Calamity Ganon. Unlike previous Zelda games, where Link wore his iconic green hat and tunic (which could sometimes be swapped out for different colors of varying effects), Breath of the Wild features many kinds of armor that offer a variety of effects and protection against environmental elements or allow Link to perform certain actions more quickly. 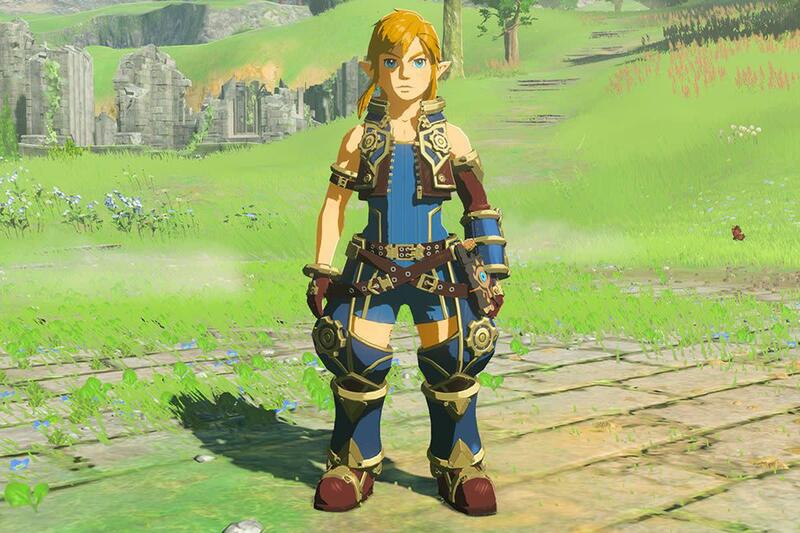 There are many of these armor pieces throughout the world of Hyrule; some are essential to collect to complete the story and others are a nice bonus. Here are the top five armor sets in Breath of the Wild, rated for coolness, usefulness, and protection, as well as a guide for each on how to obtain them. 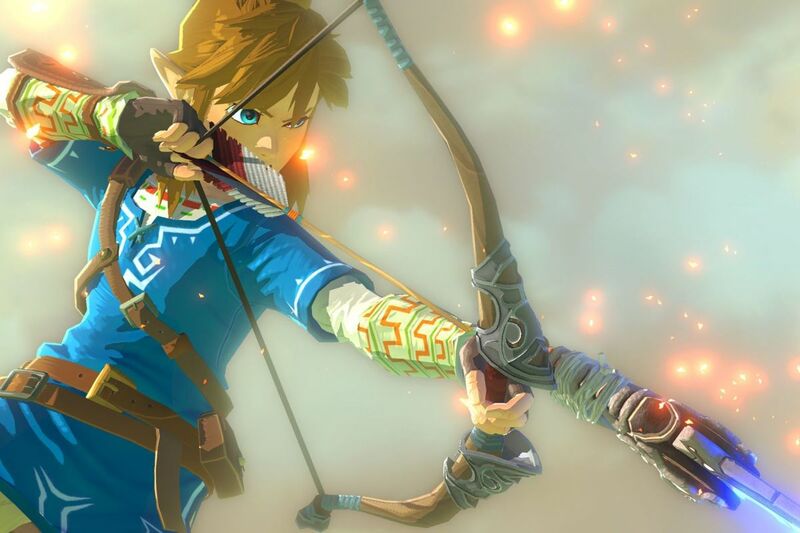 What's Your Favorite Kind of Weapon In “Breath of the Wild”? 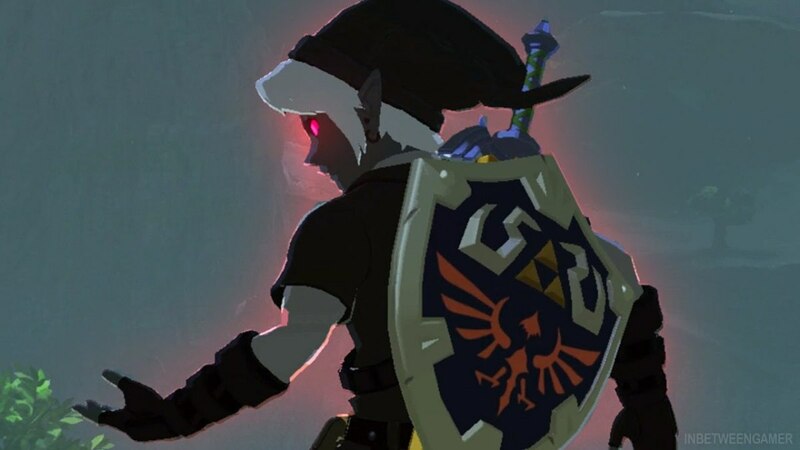 Though not offering any particular special effects apart from being able to move around faster at night and decent base defense, the Dark Link armor is a sort of Easter egg that Nintendo included. 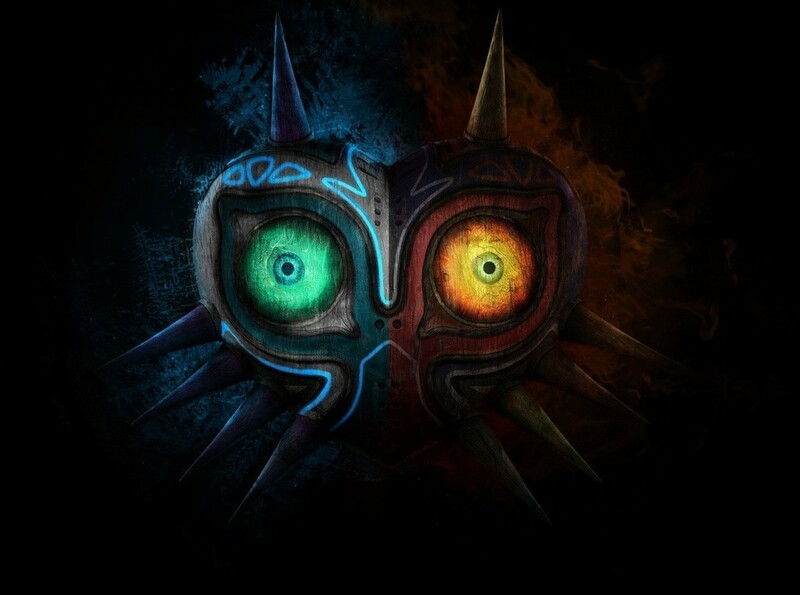 If you played Ocarina of Time or Twilight Princess, you might recognize this eerie-looking dark version of our hero. There are several steps you have to take to acquire the Dark Link armor. 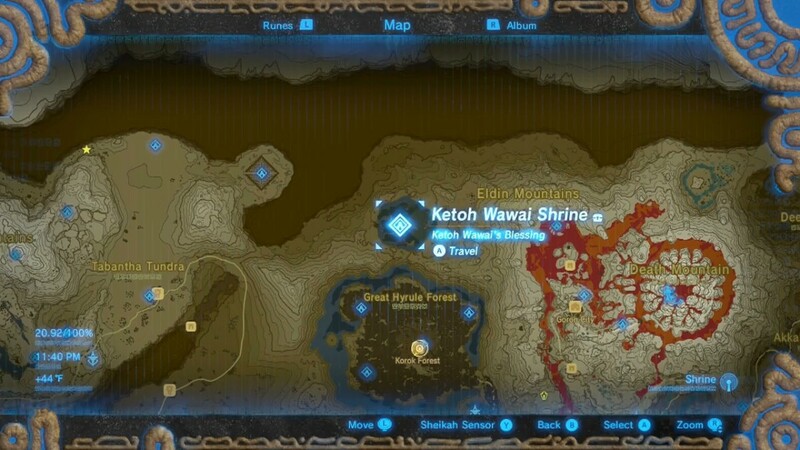 Start the quest "A Shady Customer" at East Akkala Stable (in the northwest corner of the map) by talking to the guard. Go to Skull Lake, which is northwest of the Stable, and land on the left eye. At night, Kilton will appear. You can take a photograph of him to complete "A Shady Customer." 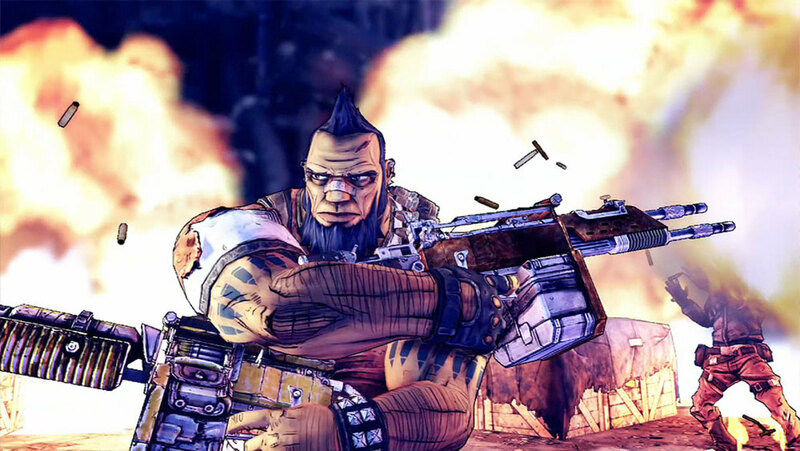 Talk to Kilton. He will disappear and you won't be able to buy anything from him yet. 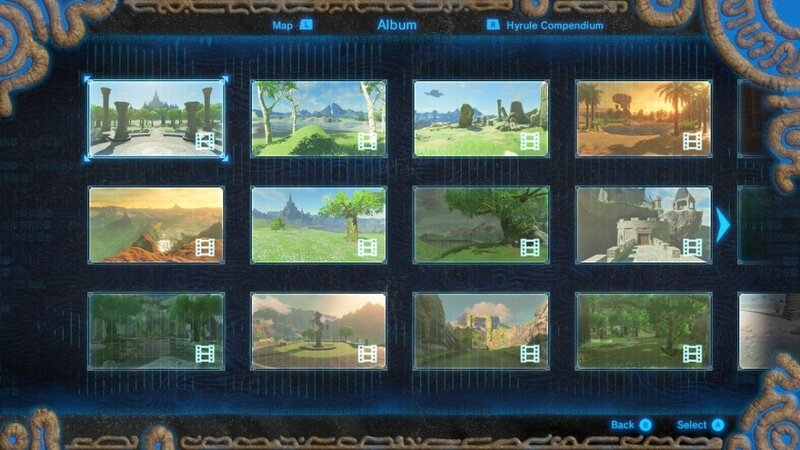 Deliver the photo to the guard to complete the quest and earn some rupees. After 9pm, seek Kilton out again. He will randomly appear either outside Hateno Village, Kakariko Village, Rito Village, Gerudo Town, Lurelin Village, Zora’s Domain, or Lake Akkala. On my first playthrough, he showed up at Gerudo Town, though other players have reported he shows up at Zora's Domain. After you have freed all four divine Beasts, the Dark Link Armor is available to purchase! However, Kilton doesn't accept rupees. Instead, he will ask that you trade monster parts to him for mon, a unique currency he will accept. In collaboration with Xenoblade Chronicles 2, there is a special free DLC to obtain unique armor for Link that grants him an excellent bonus to swimming speed. When all three pieces are worn together, he also gets a boost to his Swim Dash Stamina. It's a lifesaver whenever you swim across a river with a strong current or across a long stretch of water. To obtain this armor, check the sidequest "[Xenoblade Chronicles 2]" where you'll find hints of places to find red shooting stars. Below are the answers. "The southern sky from the middle of the largest bridge." Head to the bridge over Lake Hylia, which is located in the south of the map near the middle. It's easiest to glide with your parasol from Lake Tower. Look south (no need to use your Shiekah Slate) and you'll soon see the red shooting star. Follow the light to the chest containing the Salvager Headwear. "The eastern sky from the skull's left eye." If you've been to Skull Lake already, no doubt you'll know which skull this hint is talking about! Head to the taller of the eyes of Skull Lake in the northeast area of Hyrule (the skull's left, or the right on the map) where Zuna Kai Shrine is located and look east. The chest holds the Salvager Vest. "The southeastern sky from the peak of the tall, pierced snowy mountain." 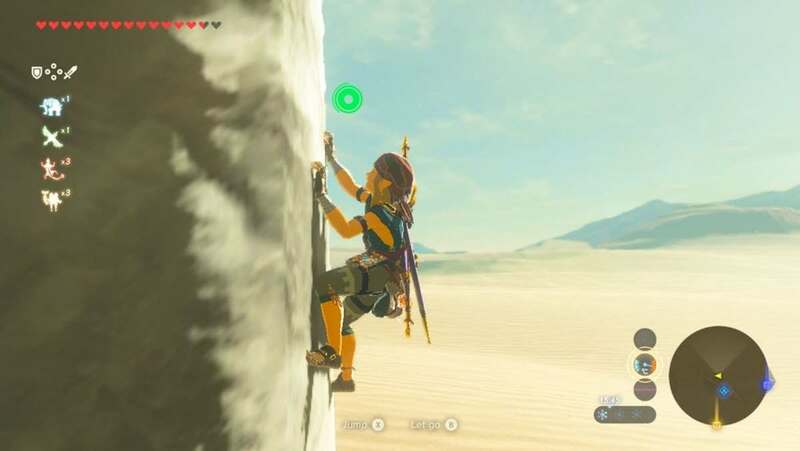 Though there are several snowy mountains in Breath of the Wild, this clue is referring to Hebra Peak in the northwest. Be sure to take some cold-resistant elixirs or equip the Snowquill Armor (obtainable from the shop in Rito Village). Look southeast and you'll find the treasure, the Salvager Trousers. This armor set is essential if you want to go exploring anywhere near Death Mountain and ultimately face Divine Beast Vah Rudania. It gives Link resistance to the burning air of the mountain. 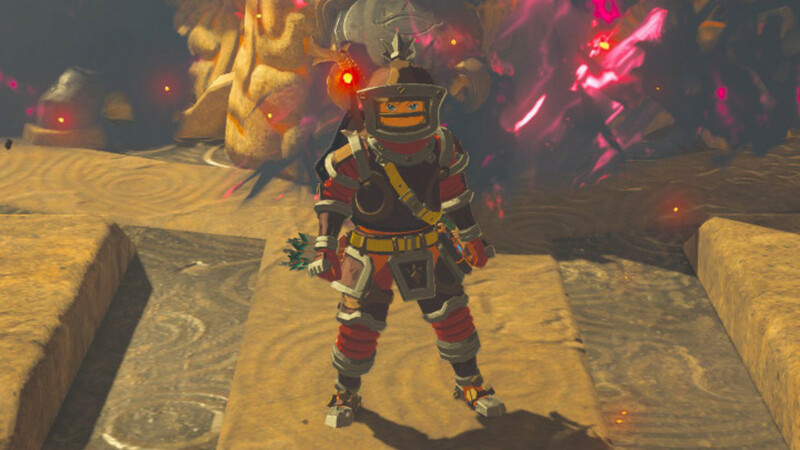 You can buy the Flamebreaker Set in Goron City, but if you're low on rupees, you can also get the Flamebreaker Armor piece by completing the "Fireproof Lizard Roundup" quest on the road up to the city. Simply collect ten Fireproof Lizards for weary traveler Kima and he'll hand you the armor for free. Wearing just the Armor piece is enough for you to head to Goron City, meaning you can sell any remaining Fireproof Elixirs you may have and comfortably explore the city. 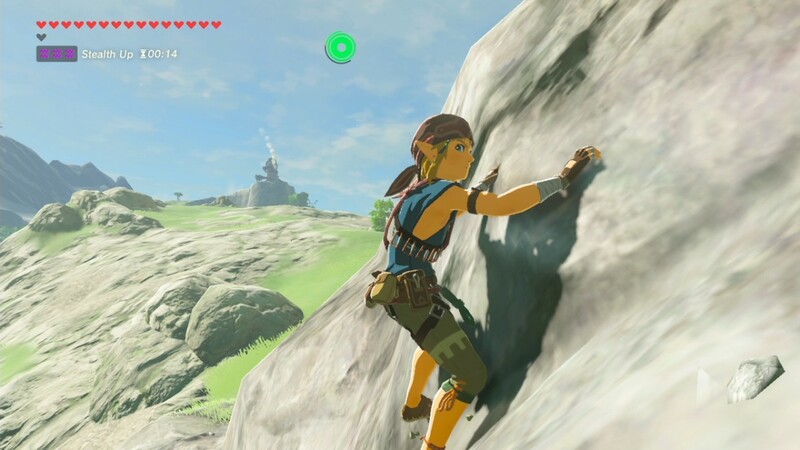 This set, which allows Link to climb much faster up buildings and steep cliffs, is absolutely essential to this game! It isn't immediately obvious that you can get it as it isn't really mentioned in the game, but once you have it, you'll wonder how you possibly got by without it. It's definitely one of the most useful armor sets in the game. Be sure to get the Climbing Set as soon as you possibly can and upgrade it at Fairy Fountains, too. 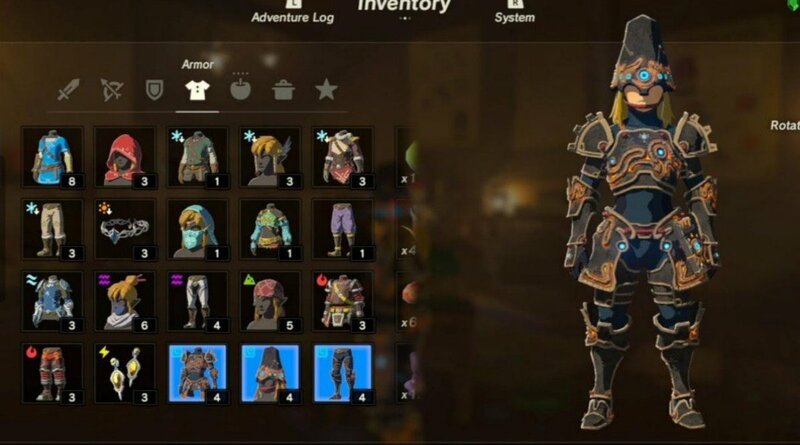 Ancient Armor is an absolute must in Breath of the Wild. With it, you're far more resistant to Guardians' deadly attacks and gives you a much better chance of survival when storming Hyrule Castle! You can get many kinds of Ancient weapons and armor at the Akkala Ancient Tech Lab, located on the northeast corner of the map after you have completed some small tasks for Robbie. Be sure to collect a lot of Ancient Parts (by fighting Guardians in shrines or larger Guardians near Hyrule Castle and Hyrule Field) and rupees to get yourself all three pieces of this set. the costs are below. Ancient Cuirass: 3 Ancient Gears, 5 Ancient Screws, 3 Ancient Cores, and 2,000 rupees. Ancient Greaves: 3 Ancient Gears, 5 Ancient Springs, 3 Ancient Cores, and 2,000 rupees. Ancient Helm: 3 Ancient Gears, 5 Ancient Shafts, 3 Ancient Cores, and 2,000 rupees. Choosing the correct armor to suit your situation is essential in RPGs, and Breath of the Wild is no different! Aside from the five listed above, there are plenty of other types of armor which offer protection against elements or against certain types of enemies. Which set of armor is your favorite?